As one of the largest Outfitters in the state of Colorado we are able to offer you more activities and adventures than any other single company this close to Denver! With nearly 30 years in the outdoor adventure industry, we’ve assembled a highly experienced & knowledgeable team of experts to assist you with your trip selections and lead you on your adventures. We’ve built the finest basecamp and facilities that are second to none. All rafting guides go through intense training and are committed to the highest standards of professionalism. In addition, we use the most technically advanced outdoor gear including self-bailing rafts and kayaks, Type V personal flotation devices, and more. All CAC guides are fully certified within the State of Colorado and maintain current First Aid and CPR certifications. Some hold Swiftwater Rescue and Wilderness First Aid certifications, while others have more extensive training as EMTs and Wilderness First Responders. It is important to us that every one of our guests goes home with a lasting memory of their experience with us. 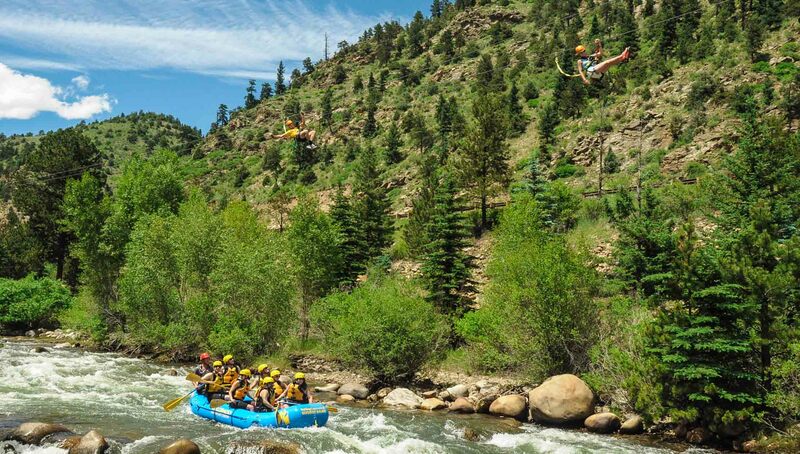 So come along and feel the spirit, explore the beauty, and live the adventure that is part of the Colorado Rocky Mountains. Colorado Adventure Center, Inc. (DBA Colorado Adventure Center, Colorado Sky Trek, Highside Adventure Tours, Glenwood Canyon Zipline Adventures and Colorado Canopy Adventures) operates under licenses & permits with the state of Colorado and Clear Creek County; and is an equal opportunity service provider. We are a proud member of the following organizations – C.R.O.A. (Colorado River Outfitters Association) – A.O. (America Outdoors) and abide by their codes of ethics and professionalism.